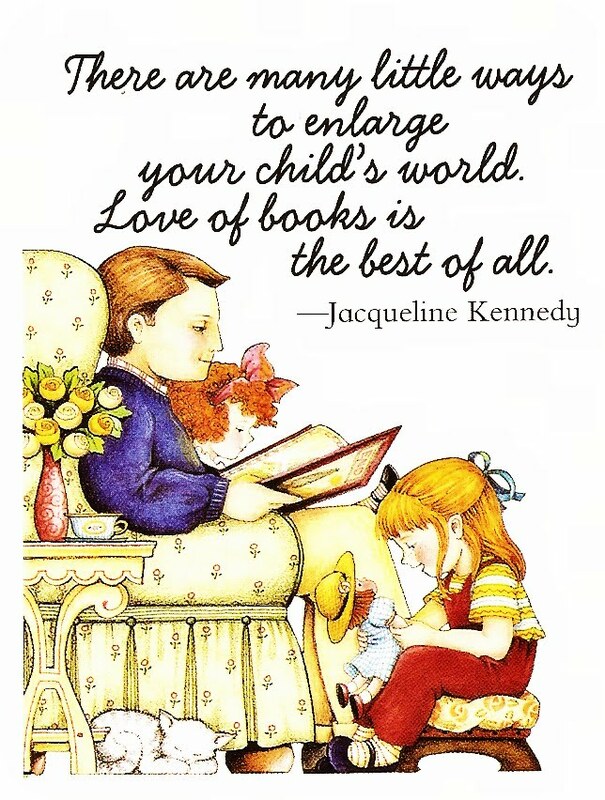 ...as long as I can remember, I've loved books. My favorite days at school were the ones when the "Book-mobile" would come and we could check out books from the mobile library. My other favorite days were the ones that you could actually buy books. I remember bringing home the booklet and begging my daddy for at least 2 or more books. He usually let me get all the ones I wanted. And when Broc was little, he loved books too, and still does. I think he's worse than me when it comes to loving books. But you know, he and I both grew up in times where there were only 3 channels on the T.V. [in fact, when Broc was little we didn't have a T.V. at all] and we had no video games, VCR's or DVD's and certainly no computers or cell phones. So basically, all we had were books and Saturday morning cartoons. Makes me wonder how many kids still love books these days. 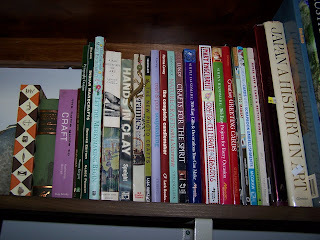 And honestly...how many craft books do I really need! I just love to look at them. 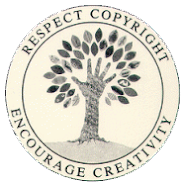 Have I ever created anything from any of them? NO. Have I have been inspired by any of them? Maybe. Do I love each and every one of them? YES!! 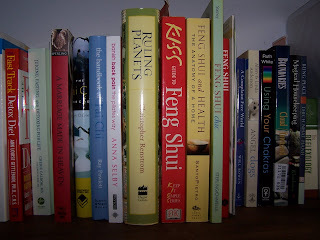 And then there's the "Feng Shui" books?!? I was reading the "K.I.S.S." one a few years ago on the beach and a huge wave came and soaked both me and the book....maybe it was "Feng Shui", or maybe it was Karma!! Hee hee, either way, the book has sand embedded in the pages now. 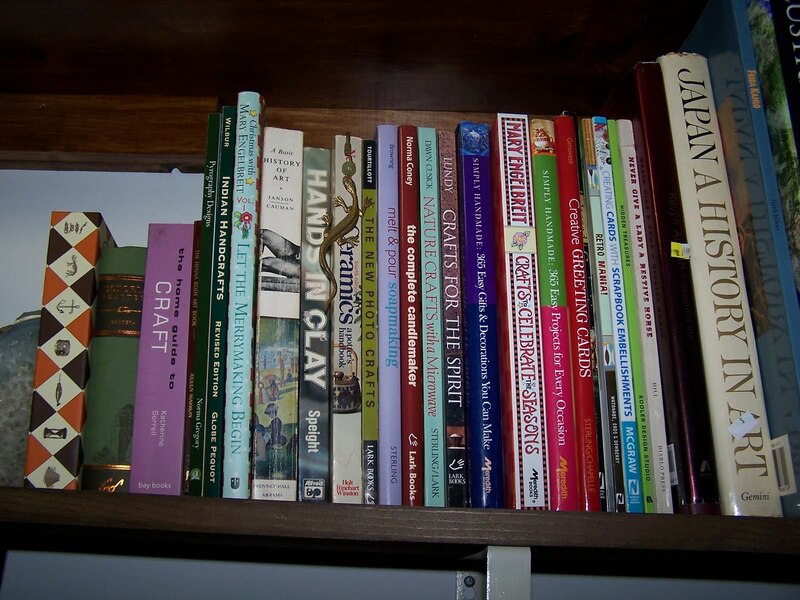 And will I ever part with these books? NO. 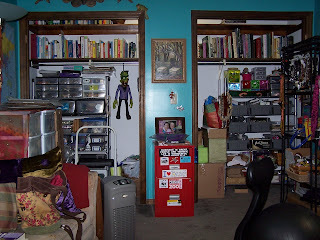 So over the years, I've accumulated quite a number of books and Wayne just built me some new shelves to house them. And it looks as though I have plenty of room for more! So before I went to the beach, I ordered some new findings and beads. I just fell in love with these recycled glass beads. They are the color of the sea and just beautiful! These little earrings are the first things I made with them. 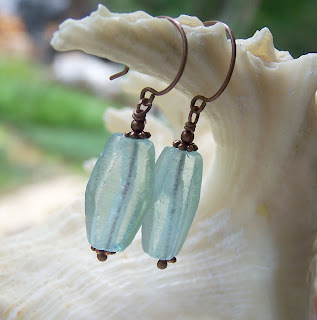 I named them "Sea Glass" and I'm giving away a pair on this blog!! All you have to do to win is leave a comment on this post and tell me the name of your favorite book ever! That's it! Ozzy will pick the winner Monday morning. Good luck! And, of course, these are in the shop if you don't win them and still must have a pair. hee hee ~ I just had to share this with ya'll. 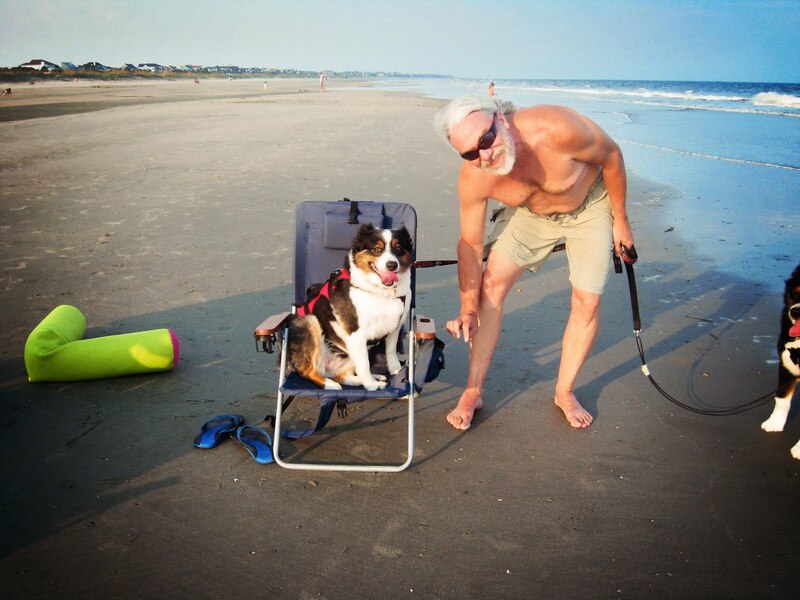 Ozzy & Lita's first time at the beach. Ozzy absolutely loved it!! Lita, on the other hand, did not. In fact, she hated the sand and insisted on sitting in Wayne's beach chair. She's is such a little prissy pot! 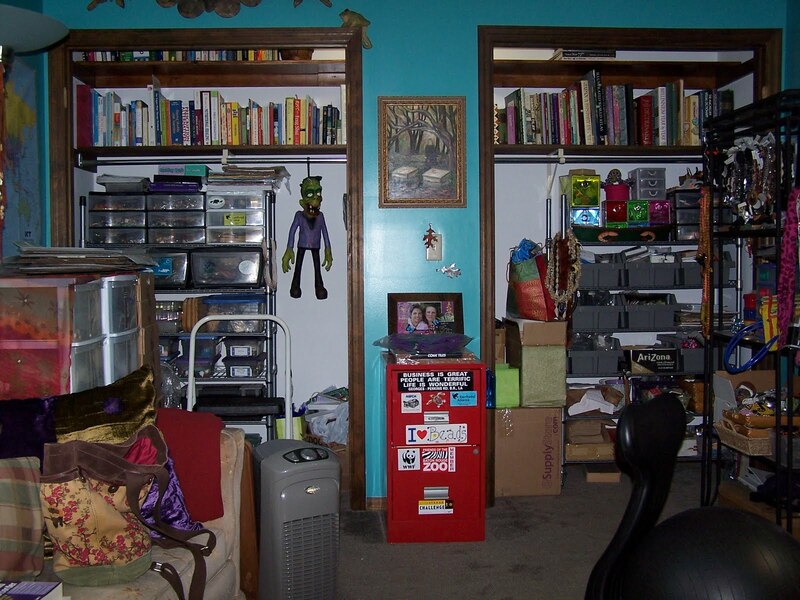 Welp, I still have some organizing to do and books to put away and jewelry to make and cloths to fold and things to dust...I need more hours in my day. Good luck winning the earrings and have a most wonderful of Thursdays!! I think these earrings are adorable - I'd love to win them! My favorite book is To Kill a Mockingbird!! I just love it!!! Bella loves books, too. I never hesitate to buy books for her. She even points to the words when I read to her and we read EVERY night!! Ozzie, pick me!!! These earrings got posted just after I placed my latest order with your mom and I have been trying to be good and limit myself to one etsy order per month. @Kathy: I love the blue on your walls in the "library" room. What paint brand/color did you use in there? Kathy... you rock! I am always blown away by all that you create. And really, just one book? Okay, Stellaluna, it's a children's book about a bat, of course. I'm not making it to the beach this year. Sure would love some gorgeous sea glass though.